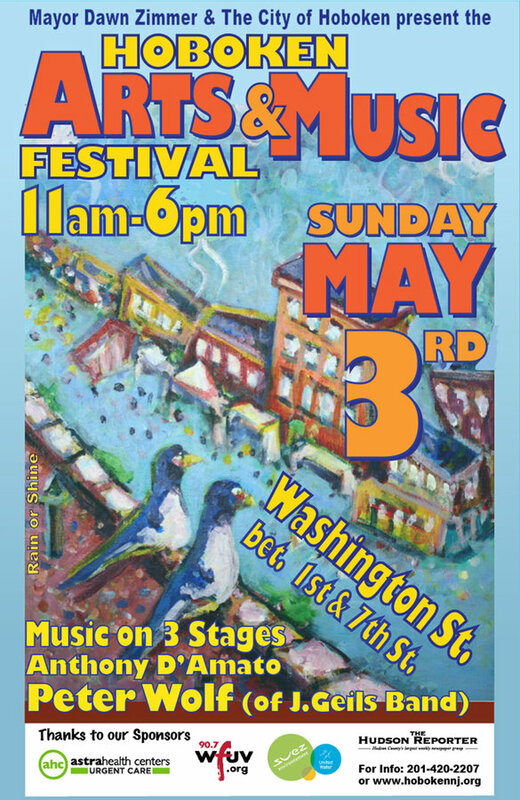 The Hoboken Spring Arts and Music Festival will be held on Sunday, May 3rd and will take place on Washington Street from 11am to 6pm. This festival draws upward of 50,000 people each year. The event will feature over 300 artists, crafters, photographers, sculptors, food vendors, local restaurants and businesses, non-profits and car dealers. In addition, the event will include children’s activities and a kid’s section on 3rd Street with three stages of music. This year, The Monroe Center will be represented by 21 of our tenants, each tenants will display the Monroe Center banner on their tent, so come show your support. We invite you to visit this exhilarating Spring Festival to experience art, music and dance, and to see what the Monroe Center has to offer!